Tim & Maynard return with Bunga Bunga 20 to bring you the birth of the latest show for the Doug Anthony All Stars; Near Death Experience. Follow the lads and their fans over two weird nights at the Harold Park Hotel in Sydney. 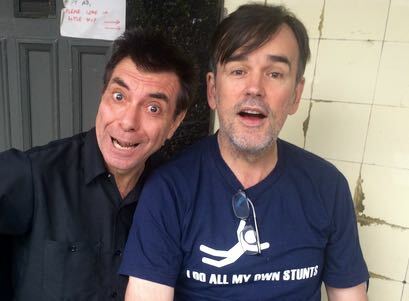 DAAS try out the jokes and songs for the first time in front of an audience. Meanwhile at the Frou Frou Cafe, Tim still tries to cheer Maynard up about being unemployed all year.